And I recently had a haircut (you'll know if you follow me on Snapchat @AskMeWhats). 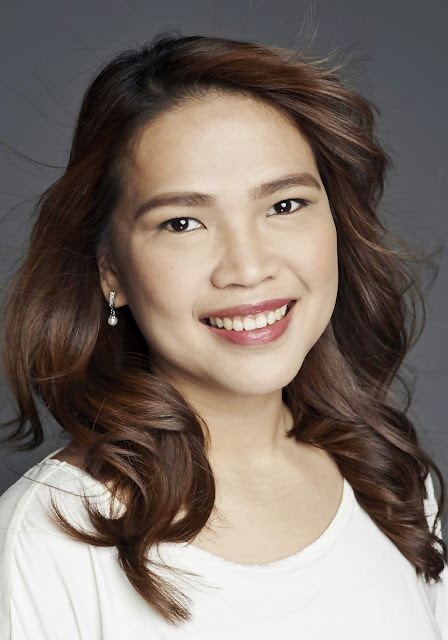 My hairstylist kept on saying I have extremely dry and damaged her! Thankfully, she has been my stylist for quite some time so I don't take it negatively! I just told her: "I know!" :P And I'm actually trying my best to do something about it! How? 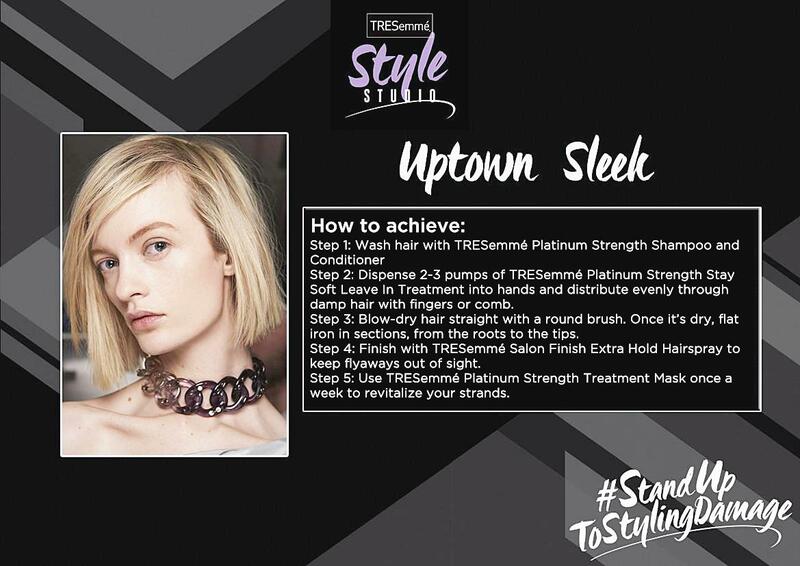 By using hair treatment 3x a week, use heat protectant products whenever I use styling tools! 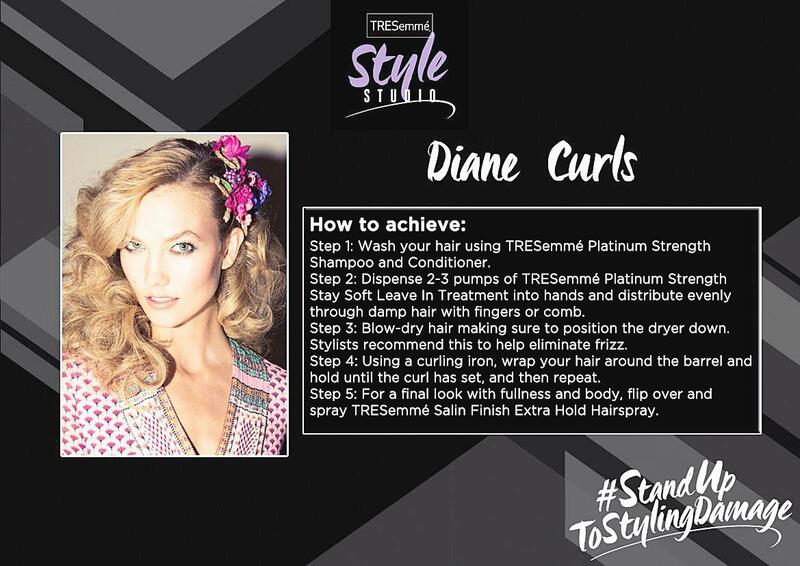 So I'm always on a lookout for products that helps protect my hair from all those heat-styling tools! TRESemme came up with a solution called TRESemme Platinum Strength. This range fortifies and strengthens hair and can repair up to two years of damage caused by everyday hairstyling. 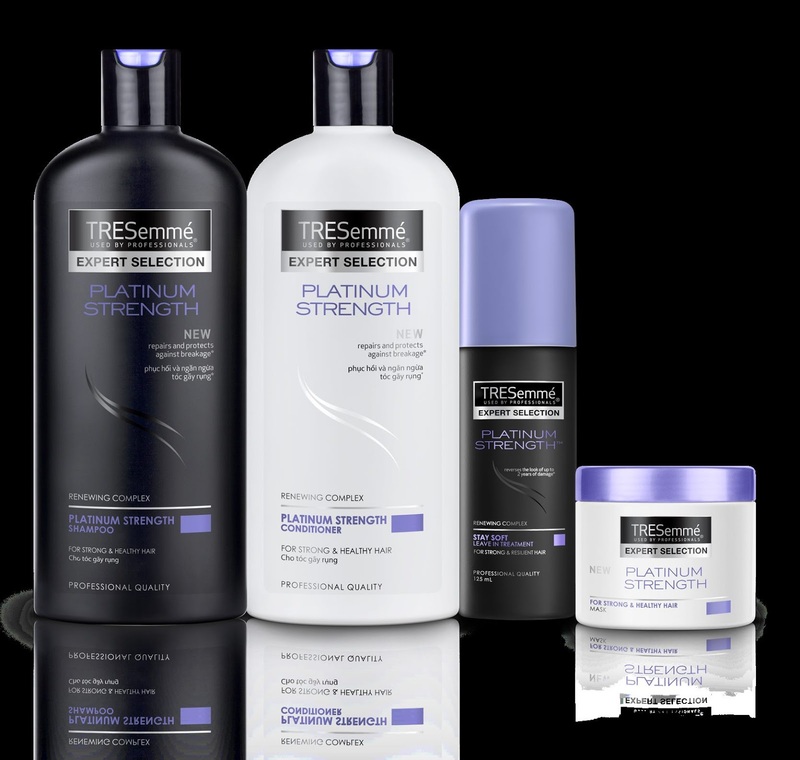 The range includes --- TRESemme Platinum Strength Shampoo, Conditioner, Treatment Mask and Stay Soft Leave in Treatment. 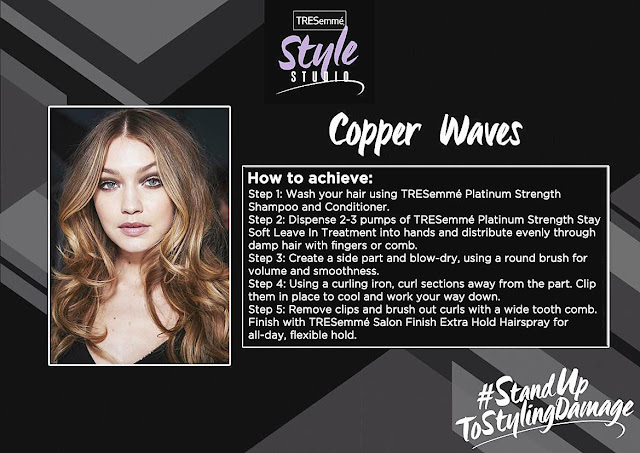 And of course, we can always recreate the hottest hair trends straight from the runways of New York Fashion Week without worrying about the damage caushed by styling if we use the right kind of product to protect our hair. I am actually trying this range starting TODAY! Feel free to remind me or check with me anytime by commenting below on my experience! I'll definitely give you my 2 cents! What's your current heat-protectant hair products? Any other brand recommendations please? Gosh I love those soft curls! Now I am definitely thinking twice about chopping my hair off. Go lang! I've always been a fan of soft curls and this summer heat is crazy! Hence, the haircut! I'm planning to visit the salon today. I have long hair and I can't stand the heat so I need to chop some inches off (I'm using their green version for split ends). I know what you mean!!!! Is the green version nice? I am loving this so far!!! Been using both shampoo and conditioner over weekend!